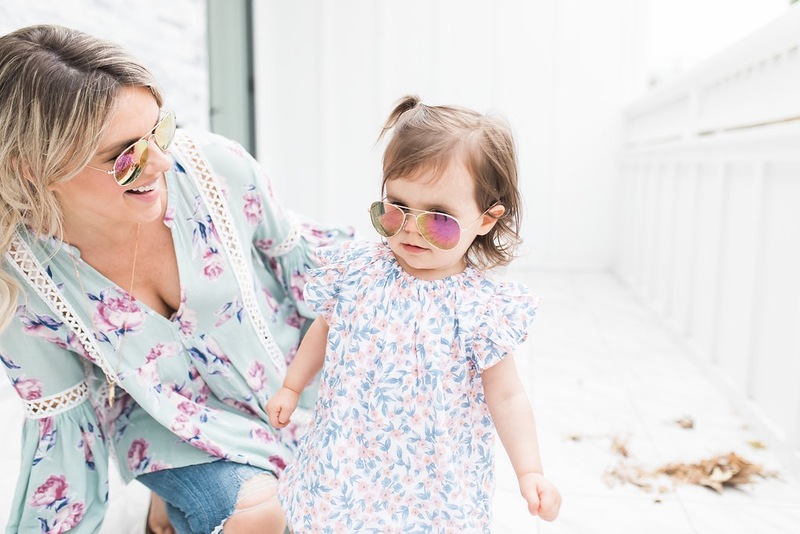 I can’t be the only mother that absolutely loves dressing in mommy and me clothes with their daughter. In fact, when my son arrives, I’m pretty certain we’re all going to dress alike. Ha! I just think it’s so fun and so cute to wear matching things. 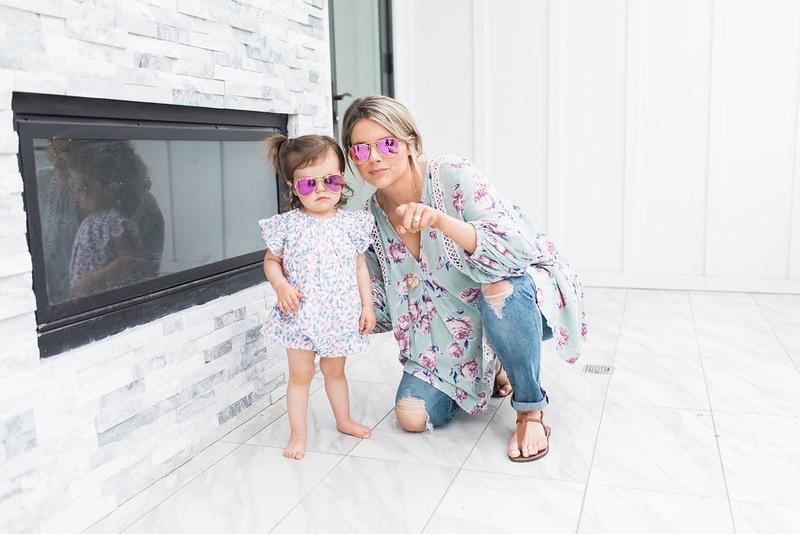 Today on the blog I’m sharing my three favorite mommy and me items! But here’s the best part about all my suggestions, they are all gender neutral! 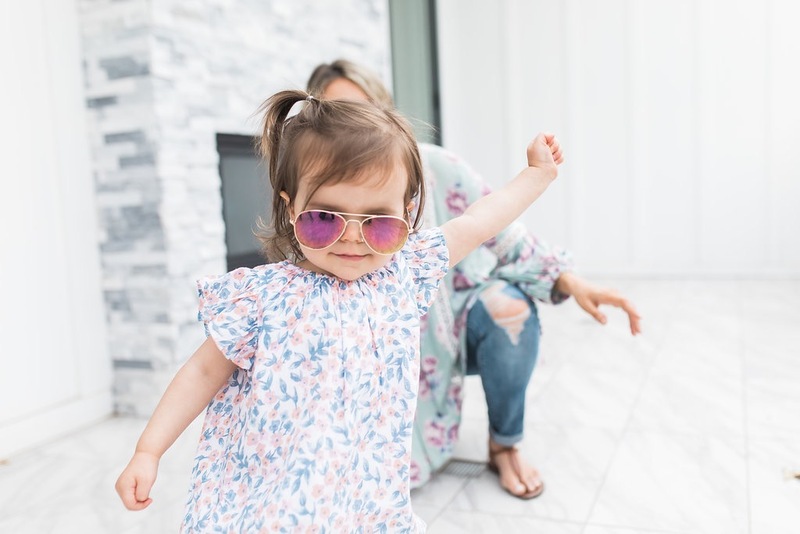 That’s right, so it doesn’t matter if you are having or have a little boy or girl, you can still rock some mommy and me matching clothes and accessories! 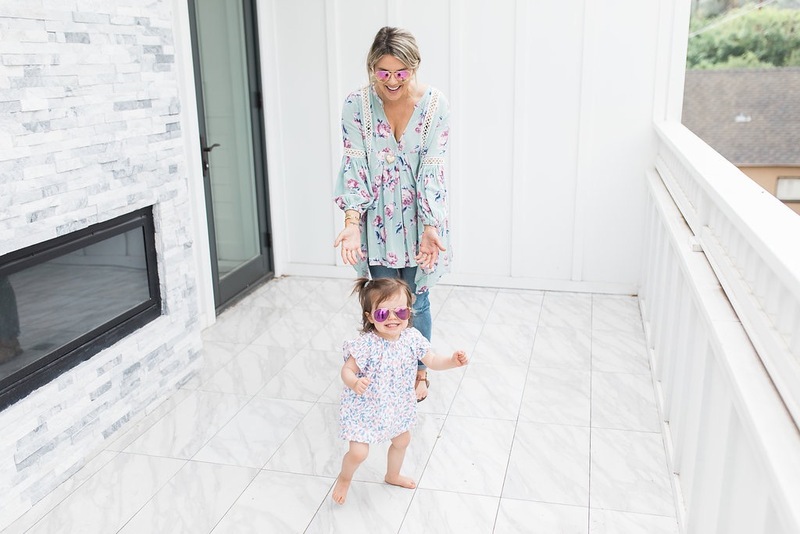 I used to be all about mommy and daughter matching, but now that I’m about to have a little boy, I am thinking a lot more about mommy and son matching! 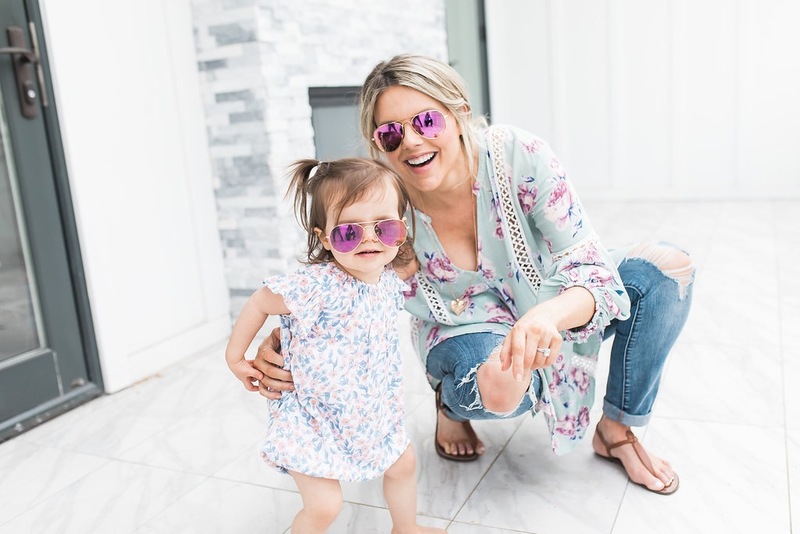 I have to say, my favorite matching items by far are these sunglasses by DIFF (Use code ALIF for 25% at checkout btw!). You guys know I love their sunglasses because I’ve written about them before. Not only that, but I love their mission. Every time a pair of sunglasses are purchased on their site, they donate a pair of reading glasses to someone in need. I just think that’s really cool and I’m proud to get behind a company like that. But completely separate from that, their sunglasses are just the cutest ever! You might be wondering how in the heck hot pink sunglasses are gender nuetral? Well, they also come in a grey lens too that would be perfect for matching with your little boy! I might actually have to get the grey lens ones for me, Kevin and Molly too so we can all match as a family! I can see the future family photoshoots now! I also have another pair of DIFF aviators with bright blue lenses that you can see me wearing below in the jean jacket pic. 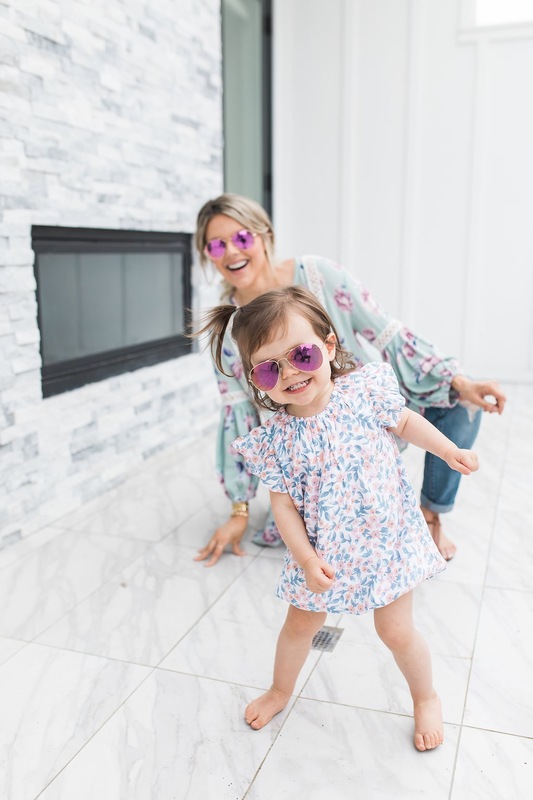 And once I saw these pink sunglasses with the matching kiddo version, I couldn’t help myself! In general, I love the pink ones for me because they’re super girly, fun and pretty. But I think Molly might love hers even more. It was so funny because when I first gave them to her a few days ago I was hanging out with my friends Kim and Ashley and she legitimately started breaking it down. Ha! So we ended up playing music on our phones and she had her own little dance party on our balcony. I posted a video of it to Instagram story that you guys have to check out because it’s just the cutest thing ever. I’m telling you, this girl is going to be an entertainer somehow because she loves to perform for people! It’s the cutest ever! If you guys get the sunglasses! Make sure to use my code because you can get them for 25% off! My code is ALIF! 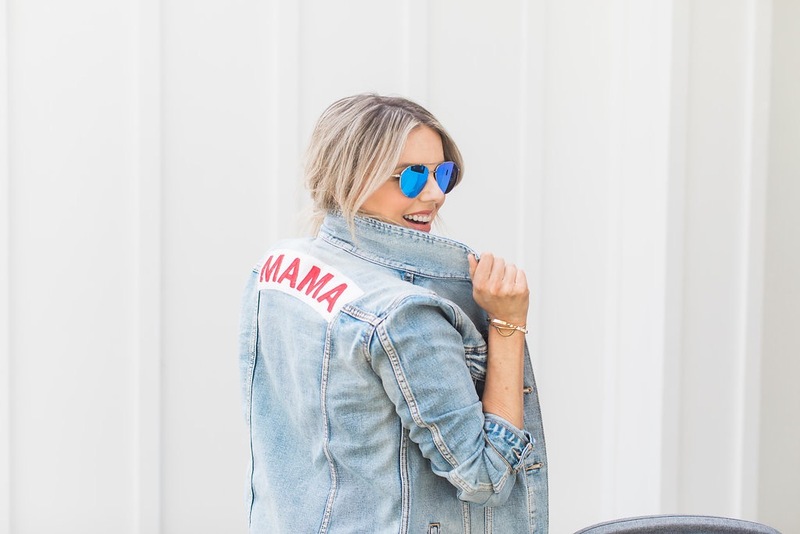 The next mommy and me items I want to tell you guys about are our jean jackets. I’ve worn and written about them on the blog before. Actually, I’m just realizing that last time I wrote about them on the blog I was also wearing my blue lens DIFF aviators. How funny is that! I didn’t even realize that until just now. I must just love wearing my DIFF sunglasses when I’m matching with Molly! Anyway, I have the “mama” jean jacket and Molly has the kiddo jean jacket that says “babe.” The reason I love these jackets so much is that they’re not the typical matching outfits. Normally, you see two matching dresses or bathing suits. These are gender nuetral and just cooler than matching dresses in my opinion! The last thing I want to talk about that I just adore are the matching robes that Molly and I have! Really if any of you have a white robe, all you have to do is buy your little one a teeny version of it and you have matching robes! For example, the robes Molly and I are wearing in the photo below aren’t actually matching. They just looks similar. Again, this mommy and me combo is gender-neutral so you can do it with either your little girl or your little boy. And it’s just extra cute! 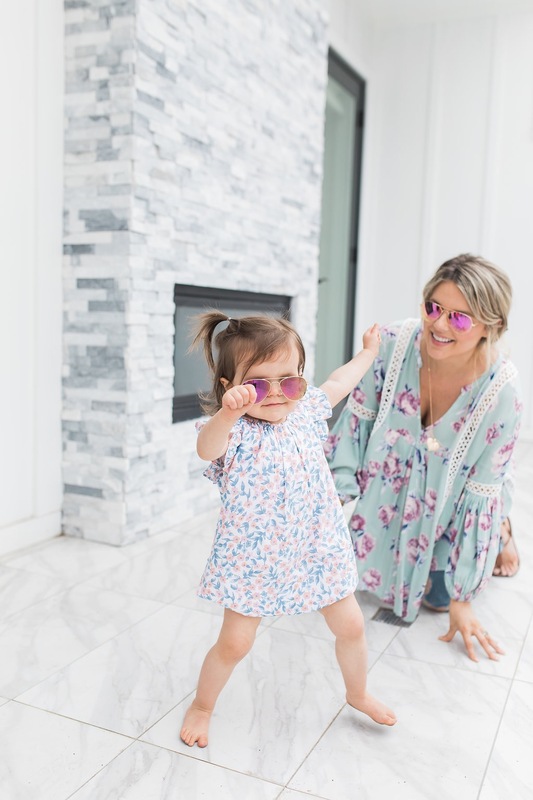 If you have older kiddos I also love the idea of doing personalized robes that say “mommy” and “daughter” on the back for a special occasion like a spa visit on Mother’s Day. There really are a bunch of options for matching robes! And at first I thought if I put Molly in a white robe, maybe she would realize it’s time to relax and chill out for a little bit so mommy would get a break. But that didn’t exactly work out. 😉 Wishful thinking! She still looks super cute in it! Well there you have it. My favorite gender neutral mommy and me matching items! If you guys get any of these things PLEASE PLEASE PLEASE share with me on social by tagging me in your pics! I am dying to see all of you matching with your cute kiddos!!! And please share any cute mommy and me things you love in the comments below! I’m always looking for ideas! Ideas which I’m sure will embarrass my children one day. He he! That’s what mama’s do though, right?! More pics of Molly dancing below because they are just too cute not to share! 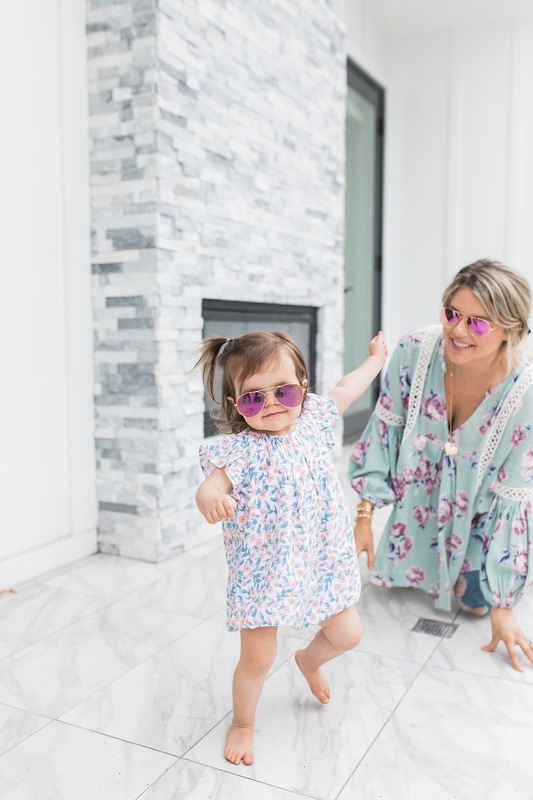 3 Adorable matching Mama/Daughter looks! I’m impressed with DIFF’S mission to provide reading glasses to those in need. Ha! Baby Dancing with the Stars should be a parody! SUPER cute. Great info. Thanks for sharing your family with us. Anxiously awaiting arrival of baby boy Manno and Molly’s reaction when she sees him for the first time!!! I really can’t even imagine what that moment is going to feel like! Lol! How cute is she! Is she a ham or what! What a face! How in the he** did you get her to have that serious look on her face as you had with the last picture? Lmaso! I had wanted to ask you. Does your discount have a time line? Reason is glasses that I like are sold out? Will I still be able to use your discount when they come back in stock? These are the cutest looks. Love it! 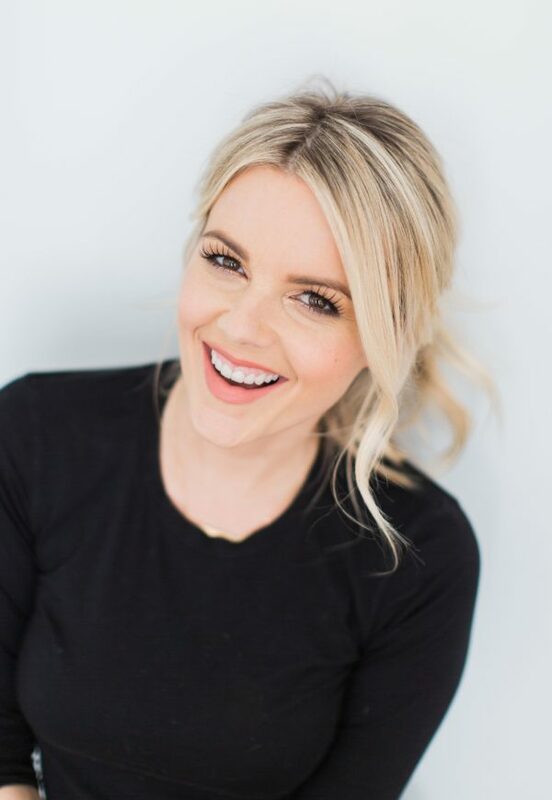 I love to read all of you blog’s and see your instagramstories with little miss Molly. How fun! I just had our first girl after two sweet boys, two weeks ago! (First girl in my husband’s family in over 50 years!!) Can’t wait to do some mommy and daughter matching things!!! Darling pics! Molly looks so full of personality! How are you doing on boy names? Can’t recall if you’ve had Bryce, Jackson, Jordan, Parker, Riley or Tucker suggested? I think all of the possible nicknames for these names are good, too. Sorry kind of unrelated…but I am due the same time as you and Just got the gifts that the new baby is going to give her older siblings in the hospital so I was thinking about it. Just wanted to make sure you knew about the idea. My son still talks about the cars his sister gave him. This time the new one is giving playdoh sets (which we needed bc all of ours is dried out) but I really think it is a good idea. We wrap them and have them in the hospital for when the older child(ren) comes to visit. Last time my son also made a happy birthday card for the new baby. Ali you and Molly had matching adidas too — can you link those?! New mom to a gorgeous little gal 🙂 can’t wait to match with her! My little girl is only 3.5 weeks old but I already have matching Tom’s picked out for us. Plus sun hats where mine reads: Hello Sunshine and hers days Sunshine! Hi Ali! Thanks for all these great ideas! Where is Molly’s dress from? I love it and want to get it for my daughter. Love the jean jackets!!! Here is a small business that sells mommy and me shirts for girls and boys! Soooo cute! Check it out, you may like them! Love💕💕he post! Where do you find all her adorable dresses? So adorable!! All of these photos of you and Molly are so precious. Such a great keepsake for her! Where did you get Molly’s romper?! It’s so pretty. Would love to get one for my little girl! Ali, I watched your last facebook live and i also have si joint issues and i am currently 35 weeks pregnant. I have a laberal tear in my hip from before pregnancy and i also got the guided injection directly into my si joint before pregnancy. It helped so much but around 30 weeks i ended up with severe pain again- worse than ever. My doctor saw me and said he was open minded to doing the injection again but he wanted to do some further research and talk to my midwife and OB before he followed through. I had a gut feeling i didn’t like about getting it done even with the pain i was in. Not only did the needle being so close to my baby worry me, but the xray guided injection just makes me nervous about xray exposure having my baby so close to that area. And ultimately my doctor and OB and midwife decided not to do it. I actually already made up my mind not to do it before they decided against it. I have been extremely lucky and it has actually been less painful the last couple weeks. I am hoping and praying it doesn’t flare up again. I think i am likely looking at surgery after pregnancy. I find that stretches and walks, avoiding activities like lunges and reverse movements, and not wearing heels has helped a lot. Also, sleeping on my side with a pillow between my legs to keep my hips in line seems to help. I hope you decide whatever works best for you! Thank you so much for sharing Valerie. I literally feel your pain. It’s awful. But I think I have decided against it too. I am going to try to deal with the pain until the baby comes. Thank you so sharing your story not to do it. It helps encourage me to fight through the pain too. I love Molly’s outfit, can you share what it is?!? I absolutely love this top on you!! It’s gorgeous! I want to order- Did you go the l/xl? Love this post!! I went with the L/XL because of my big belly! Love seeing all your pictures and your real-life stories! I’m teyjnf to find where you purchased the bar necklace you wear in a lot of your pictures! I would love one for mother’s day! I am a first time soon to be mom. Have you bought any maternity clothes on amazon? Or where to you like to shop for reasonable maternity clothes?